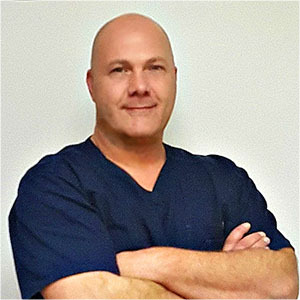 Dr. David DeFries is a chiropractor located in Aston, PA. He is a third generation chiropractor who followed in the footsteps of his grandfather, father and sister. "Shortly after graduating Parker Chiropractic College in 2003, I began working along side my family at the DeFries Chiropractic Center in Aston where I was able to learn from their combined experienced which dated back to my grandfather who practiced in Chester in the 1930's! In 2004 I volunteered to tutor anatomy students at Neumann University in Aston. I found that explaining the human body to the students allowed me to better understand the workings of an amazing machine and led me to develop better ways to teach not only the students but my patients also. I was soon offered a position as an instructor which enabled me to continue to learn about the human frame. I began to apply my knowledge of the muscles, joints and nerves to my patients and I was able to return to the classroom and lab to investigate and explore the body. In 2007 I opened an office in Boothwyn and in 2015 moved into a better facility within All Pro Chiropractic where I continue to practice with a focus on treating conditions through a combination of active care and education. While pain is the primary cause of people to seek out a chiropractor, their understanding of the cause of the pain and the steps needed to correct the problem are just as important as the treatment. I pride myself on being available to my patients, answer questions and to provide compassionate, honest care."